Well, not a whole lot going on this past week, just relaxing and hanging out with the family mainly. 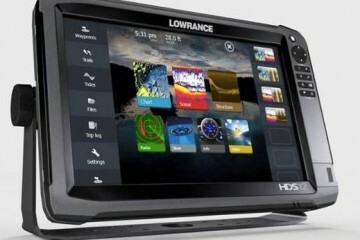 I did get my new boat ordered, but really thatâ€™s about it. This morning Anne and I are figuring out our 2012 schedule and starting to make reservations, trying to at least. 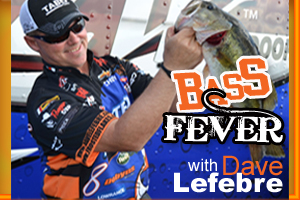 Iâ€™m obviously fishing the 10 FLW Tour events, but donâ€™t know whether to fish the BASS Opens or the Ever Starts next year. 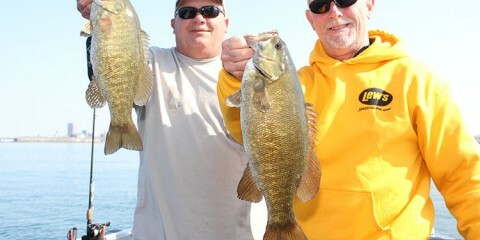 BASS registration starts today, so not much time to decide. The Ever Starts are a lot better as far as payouts, locations, and a big championship, but that â€œcheapâ€ Classic birth is tough to pass onâ€¦.hmmmmmmmmm? I honestly canâ€™t believe they are doing that again after all the flack this season, strange. Iâ€™ll be posting my 2012 schedule within the next couple days on my website, DaveLefebre.com. If they werenâ€™t all on the same exact weeks Iâ€™d fish them allâ€¦I hate that! I plan on doing as much fishing as humanly possible during the off-season. I had a photo shoot with Darl Black for an upcoming FLW magazine article last week and caught a couple big walleyes afterwards. Itâ€™s a little early for that to be starting already, but itâ€™s something I really enjoy doing each fall. We use live creek chubs for bait, Mitchell likes setting the traps and checking them in the morning, its different, but a lot of fun. The crappies and perch are also biting right nowâ€¦basically itâ€™s time to stock the freezer! So much fishing to do and so little time. 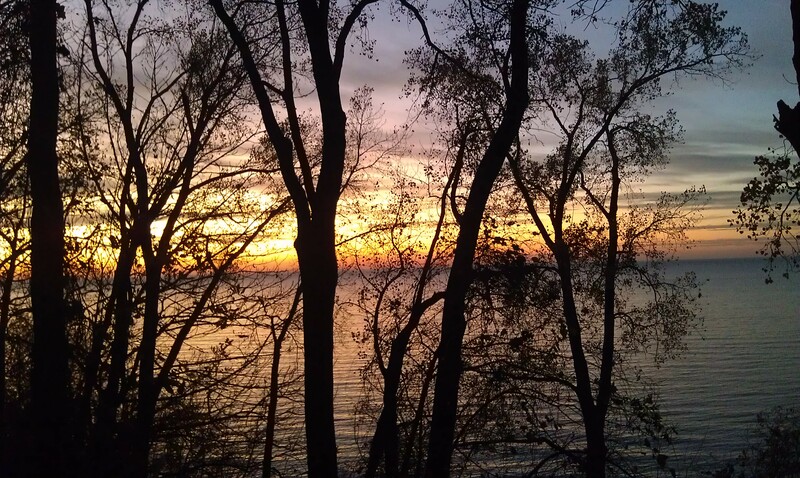 We love this time of year up in Erie. We are going to be spending the winter and most of next year living with Gramps right next door to the property we will building our house on. We plan on starting to build in the springâ€¦canâ€™t wait. 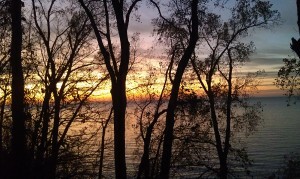 The view of Lake Erie is amazing, hereâ€™s a pic Anne took of the sunset lastnight. Iâ€™ll talk to you next week!